Our LT&A SUPER TENT® helped create a first class reception at the Omaha Country Club. The tables decorated with flowers and bows add color and elegance to the celebration. A straight liner hides the framework and a decorator has strung fabric along the top to add additional color. 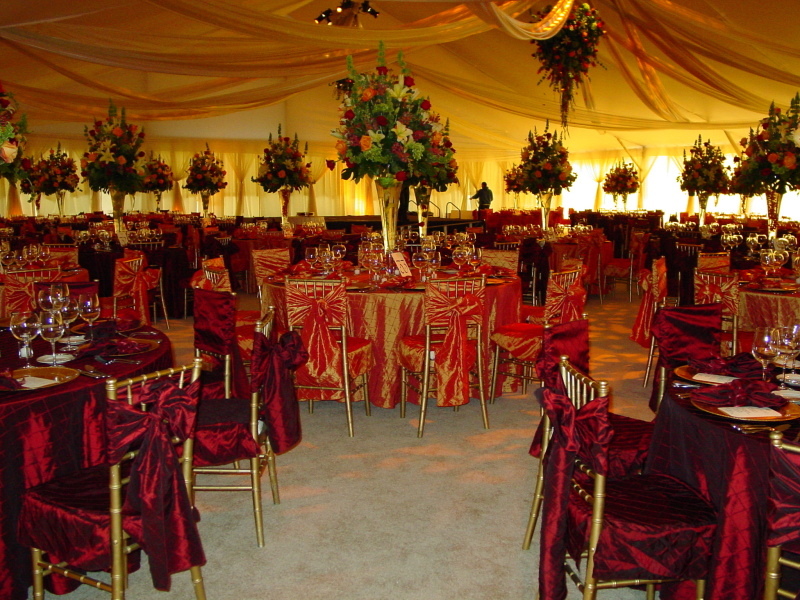 One of our rental tents can be the prefect solution for your Omaha Nebraska wedding receiption.